The 2010 Sri Lankan Presidential and Parliamentary elections that took place shortly after the end of a debilitating 25 year-old civil war in 2009 constitutes a watershed in Sri Lanka’s politics. Despite the unsettled conditions over the last two decades emanating from this turbulent environment created by the civil war and the seemingly intractable obstacles encountered, Sri Lanka was able to maintain some semblance of the principles and practices of a liberal democracy (Clarence 2008). However, the dramatic events more recently surrounding the end of the civil war and the emergence of a ‘culture of violence, anomie and impunity’ (Devotta 2009) have cast a heavy cloud over the future of Sri Lanka’s democratic polity. Since the 2010 national election the government has given priority to national security considerations alongside issues of sovereignty and created new centres of power whose influence on civil society has expanded extensively. This has raised serious questions as to why the military continues to be afforded police powers and are able to override normal constitutional and legal processes (Pinto-Jayawardena 2010). Although the political climate in Sri Lanka since the 1980s was engulfed in political violence associated with armed conflicts in ‘fault line wars’ (Huntington 1996), it has not eventuated in the wholesale dismantling of democratic institutions. However, more recently key features of the well-entrenched liberal political culture of several decades, such as transparency, accountability and the rule of law have been severely eroded more recently (Pinto-Jayawardena 2009). It was against this background that the Presidential and Parliamentary national elections of 2010 were conducted after the ending of the civil war in 2009. The success of the Mahinda Rajapaksa-led SLFP government at the Presidential and Parliamentary elections of 2010 has resulted in a One Party State where the dominant party with a large parliamentary majority, the SLFP, surpasses the opposition led by the United National Party (UNP). The weakened opposition gives the government of the day complete access to and control of key state institutions and resources which are used to entrench the dominant party. Following the 2010 national elections we witness the inauguration of a new political regime − best described as a hybrid regime − similar to that prevailing in south-east Asian countries such as Malaysia and Singapore (Wigell 2008; Rodan and Jayasuriya 2009), which were also like Sri Lanka previously British colonies. These regimes, built around a dominant party, consist of a mixture of authoritarian and democratic elements where formal democratic processes such as periodic elections combine with a strong incumbent party to limit the organisational capacity of the political opposition. A distinctive feature of this new political culture is the organisational cohesiveness of party and state institutions that provides significant informal advantages to the dominant political party (Levitsky and Way 2010: 321), enabling it to reach deep into both the civil society and the political economy. It is now clear that the end of the civil war actually accelerated a fundamental process of state transformation leading to the emergence of a hybrid regime in what amounts to a One Party state which constitutes a significant departure from the earlier political ethos and has, grave implications for Sri Lanka’s historical engagement with democratic institutions and practices. 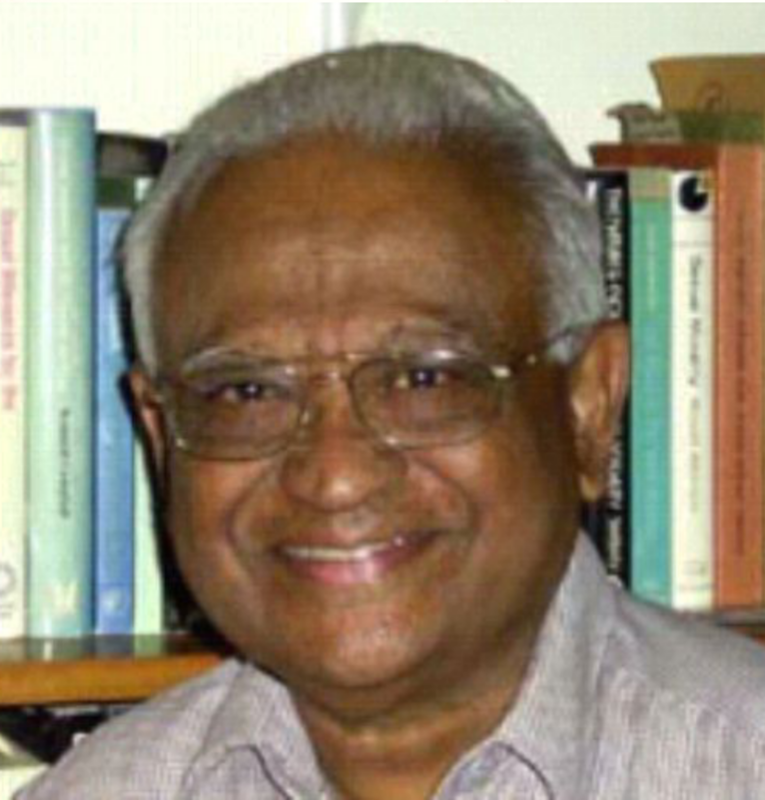 It is in this sense that contemporary Sri Lanka like Mahathir’s Malaysia represents a ‘hybrid regime’, that is, a mix of authoritarian and democratic elements where formal democratic processes combined with a strong incumbent party that seeks to limit the organisational capacity of the political opposition (Stark 2013). Thus, we note that although normal democratic institutions such as the legal system and the electoral process are functional and operative, they can be skilfully manipulated to maintain regime dominance. As with the Mahathir in Malaysia the Rajapaksa led SLFP government has been adroit in using state resources to weaken the opposition but more importantly through a system of patronage politics and cronyism to cater to the various constituencies within the dominant party. The extent and reach of the dominant party in seeking to limit the opposition has reinforced the Executive system of government installed in 1978 by effectively marginalising parliamentary politics. The personalisation of power characteristic of the new regime, evident in the ‘personalised hegemony’ of President Mahinda Rajapaksa is highly reminiscent of the Malaysian authoritarian politics (1981-2003) under the leadership of Mahathir of the UMNO, 1981-2003 (KhooBoo Teik 2003; Guan and Nesadurai 2009). Furthermore, as in Mahathir’s Malaysia, Mahinda Rajapaksa has embraced and vigorously promoted the nationalist sentiments and ideology of Sri Lanka’s ‘bhumiputras’ (sons of the soil), the Sinhalese-Buddhists, elevating the notion of the ‘jathika chintanaya’ to near sacral status. This was made quite explicit at the 2005 Presidential Elections (Department of National Planning 2005), with the reference to the ‘Mahinda Cintanaya’, the Vision for the Nation’s Future. This was not just an electoral slogan, but a basic tenet of Mahinda Rajapaksa’s policy agenda which was incorporated as a guiding principle of public policy. Accordingly Ministers of State are required to act in accordance with the ‘Mahinda Cintanaya’ (Wijewardene 2013) and bring key state institutions and regulatory agencies, including the police and the judiciary within the ambit of the philosophy of the dominant party. These distinctive features of the current regime draws pointed attention to the ‘personalistic character of Presidential legitimacy (Scheurmann2011) which allows the Executive to cultivate a seemingly direct and immediate relationship with the electorate via all forms of the media. As a consequence we find that these forms of presidential governance are associated with a consolidation of − to use Weberian terminology − a ‘charismatic leadership’ which often represents a quest to find a secular replacement for the magical or divine powers once attributed to monarchs (Scheurmann 2011). The consolidation of Executive power is best revealed in the current centralisation of power such that 42 Ministers with control over 94 state institutions are directly under the control of the President or one of his close family members (Wijewardene 2013). What this also points to is the inauguration of a ‘dynastic regime’ reminiscent but different to that of the Banadaranaike’s in the 60s and 70s (Jayasuriya 2005) in that the informalisation of power, a distinctive feature of the present regime. This has greatly facilitated the virtual collapse of the system of the separation of powers between the executive, legislature and the judiciary, a characteristic feature of the earlier Westminster style of government. This new illiberal political order is perhaps most evident in the manner in which the state controls the media and more generally restricts civil society participation in open public debate. Furthermore ‘violent repression of dissent and the consolidation of power go hand in hand in Sri Lanka’ (Amnesty International 2013), and this, above all, exemplifies the manner in which the constitutional authoritarianism of the new regime has removed all constitutional checks and balances in the system of government (Coomaraswamy 1984). Importantly a One Party state with a highly centralised and personalised Executive Presidential form of government built around informal relationships functions against the backdrop of ‘militarisation’ (Jayasuriya 2010) such that the military has an inordinate influence on the conduct of political institutions). This militarization characteristic of the Rajapaksa regime and which conferred an inordinate influence on the conduct of political institutions originates from crushing of the 1980s armed Sinhalese youth revolt and gained momentum during the civil war of the 1990s. However, it was the strengthening of the military and defence forces in the final years of the civil war that led to the ‘militarism’ under President Rajapaksa (Jayasuriya 2010). This militarisation of Sri Lanka is clearly evident in the heightened defence and military expenditure of roughly between 3% and 5% (Kelegama 2006; SIPRI 2013). This extent of military expenditure, the largest in the region except for Pakistan, has enabled a powerful military establishment to resort to the use of ‘Emergency Laws’ to subvert democratic processes on the grounds of ‘legal exceptionalism’ (Loveman 1993; Jayasuriya 2010). In this regard, there are two main areas of concern. The first and perhaps the most serious relate to human rights abuse (Zanzi 2002) by virtue of the immunity granted to public officials in the security forces to act outside of their professional jurisdiction. The repeal of the Emergency Regulations post-2010 however, as previously noted, has done little to alleviate human rights violations such as the authorities continued use of Emergency Laws such as the PTA (CPA 2011). The other area of concern is that this militarization has in the post-civil war era witnessed a blurring of civil-military roles leading to the transformation of civil military relations. The recent military takeover of land in the North is indicative of ‘why the military-civilian relationship is problematic’ (Perera 2013b). This shows the extent to which the military has been given a free hand in many areas of national life such as fixing roads and re-modelling cities ( Economist 2013), so much so that the ‘public space is now military space’ (Lawrence 2008). There is no doubt that the military establishment has taken centre stage as the new power elite and sought to exploit civilian interests with whom the military have entered into coalition. The time honoured democratic processes associated with the civilian control of the military establishment are no longer operative in that the military has assumed a key role in determining and shaping the implementation of national policy and decision making in many areas including the field of education, foreign relations and development. Furthermore, one of the main reasons for spreading ‘military influence is indoctrination … [so much so that] ‘leadership training for university students is now run by the army inside military camps’ (Economist 2013). The current regime’s espousal of an avowedly ethnic, nationalist ideology also stands out, as previously noted, in its strong policy commitment to national security on the grounds of the likelihood of a return to political instability (Gordon 2013). The actions of the new regime such as a heightened defence expenditure amounting to nearly 3-5% of GDP over last decade gives a strong indication of what kind of governance will be promoted by the Rajapaksa government in the foreseeable future. Perhaps the most significant indicator of what lies ahead, comes from the far-reaching constitutional changes such as the removal of Article 31(2) and changes to Article 25 arising from the passage of the 18th Amendment to the Constitution (CPA2010). The 18th Amendment proposes to remove critical constitutional constraints on Presidential powers by a) removing the two-term limit on the tenure of the President; and b) bringing every arm of the public service, the police and the judiciary under the control of the Executive authority. At the same time, the 18th Amendment makes the President nominally accountable to Parliament by providing for the President to attend Parliament In addition with this Amendment the Electoral Bribery and National Police Commission were also brought directly under the control of the President. The passing of the 18th Amendment, one of the first major decisions made at the commencement of Rajapaksa’s second term in 2010, was only made possible after the government secured a two-third majority by successfully negotiating the cross-over support of some members of the opposition. These proposals have been condemned by civil society organisations such as the Civil Rights Movement as an outrageous constitutional change which was rushed through Parliament without any serious public scrutiny (Wickremesinghe 2010). More significantly, this radical change to the Constitution completely negates the 17th Amendment by making the appointment of the Constitutional Council a Presidential Executive responsibility. As a result, the statutory authority to approve the appointment of the Attorney General, which previously rested with the Constitutional Council, now rests with the Parliament subject to the approval of the President. To complicate matters this draconian piece of legislation which was unsuccessfully challenged in the Supreme Court much to the surprise of many informed observers has served to further entrenched the Executive powers of the President and seriously weakened legal accountability This decision also undermines the rule of law as it violates the concept of an independent judiciary and also that of a State Law Officer, the Attorney General (Usvatte-Aratchi 2010). These decisions have clearly violated fundamental principles of public policy which originated from the days of the late colonial state and were entrenched in the post-Independence Constitution of 1948 by the Soulbury Commission Report (De Silva 1977; Cooray 1982). The arbitrary exercise of power, in many instances unconstitutional and improper, became highly evident in the clash between the President and the former Head of the armed forces, General Sarath Fonseka. The fall out between the General and the President was a sequel to Fonseka’s entry into national politics in 2010 as the main oppositional candidate at the Presidential elections. After the convincing defeat of Fonseka at the Presidential election (Jayasuriya 2011), Fonseka was committed to trial on charges of war crimes committed by him as Army commander as well as allegations of planning a coup to overthrow the government of President Rajapaksa (Burke 2011). Following the trial of Fonseka by a War Tribunal, he was imprisoned and released only in 2013. The legal processes and procedures followed in the arrest and detention of Fonseka were considered highly irregular and in violation of the Constitution (Perera 2012). In fact, a former foreign affairs spokesperson and a onetime diplomat of the Rajapaksa government was so outraged by the impropriety of this action that he described it as ‘a perfect blunder’ (Jayatilleke 2010). This continuing trend towards the unfettered and irregular exercise of power without any regard for due process, the principles of the rule of law or human rights was most apparent and highly visible in the impeachment crisis. This relates to the impeachment charges brought against the Chief Justice (Shirani Bandararnayaka) on the grounds of misconduct. These proceedings came in the wake of a ruling given by the Chief Justice and the Supreme Court declaring an important government Bill (the Divineguma Bill) to be unconstitutional and invalid. Contrary to the expectations of the 13th Amendment, the main objective of this Bill was to devalue the powers of the Provincial Councils and strengthen the hold of the central government in the Provinces including many Tamil areas. This was to be achieved by establishing a central authority amalgamating several provincial development agencies (Fernando 2012; Perera 2012). Overriding a ruling of the highest court in the land, the Court of Criminal Appeal, the government proceeded to act upon the impeachment decision of Parliament and appoint a new Chief Justice (Fernandez 2013). This action of the government was deemed by many to be unconstitutional but also ‘a serious breach of the rule of law’ (Robertson 2013). Besides, it also constituted a gross interference with the independence of the judiciary (Philips 2013). Indeed, as one political analyst stated, if the judiciary cannot decide on the legality and constitutionality of laws’ passed by the legislature there is a serious crisis of legality and legitimacy of the Government (Jayatilleka 2013). There is no doubt that what was underpinning all these highly irregular and unconstitutional actions was the need to strengthen national security singled out as the foremost policy consideration of the Rajapaksa government. Thus one of the main arguments advanced in defence of legislative action such as the 18th Amendment and the resort to the arbitrary exercise of power was that the country needed a strong Executive along the lines of those evident among the ‘Asian Tigers’ to promote development such as Mahathir’s Malaysia (Stark 2013). 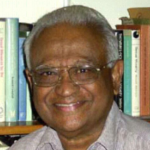 This developmental philosophy echoes the neo-liberal ideological ideology of the Jayawardena-Premadasa era (1978-94) and was clearly spelt out in the Rajapaksa government’s Election Manifesto indicating its commitment to give priority to the economic dimension by pursuing a policy of market reform conceived as a form of ‘military fiscalism’ (Venugopal 2011). However, this political rhetoric of a militarised political economy was sharply disputed by political analysts who maintained that ‘there is no economist worth his salt who will say that [a strong Executive] is absolutely essential for development to accelerate’ (Usvatte-Aracthi 2010). There is no doubt that the new regime in advocating a distinctly neo-liberal economic ideology has been quick to embrace the ‘Singapore sling’ cocktail style capitalism (modelled on shopping malls, casinos, clean streets, tourist hotels and resorts etc.,) to facilitate the development of the country. This tourist-centric development policy has accorded high priority to infrastructure development which is clearly evident in the substantial investments in ports, highways, and railroad sectors, alongside other development projects relating to power and energy (Rajapaksa 2011). This policy strategy of the Rajapaksa government serves to highlight a growing public debt with a high component of foreign debt, losses in state owned enterprises and wasteful expenditure with a lack of accountability and increasing inequalisation (Jayasuriya 2013). This ‘developmentalism’ represents a significant departure from the Kumaratunga policies of a ‘soft welfarism’ in the pursuit of distributional equity and social justice, 1994-2005 (Jayasuriya 2010; Sanderatne 2011a). Thus we note that the expenditure on health, education, and social services in the 2012 Budget detracts sharply from a commitment to directing economic growth towards greater equality (Sanderatne 2011b) By contrast the credo of the Rajapaksa regime, as in many Asian Tiger economies like Singapore, is framed not in terms of distributional equity but along notions of asset enhancement regarded as the key to enhancing the participation and capabilities of its citizens. At first sight the social and political philosophy rationale underlying this political ideology appears to be slanted towards the Confucianist thinking which is based on the defining importance of stability, law and order, and respect for the Leader. However this respect for the Leader can also be understood in terms of a Kautilyan economic philosophy with its emphasis on the importance of material well-being as the priority of state and society (Rich 2010). It is no coincidence that this way of thinking also blends neatly with the ruthless Kautilyan real politic of this regime’s authoritarian constitutionalism. In this regard it may be relevant to draw attention to the public outcry over human rights violations such as War Crimes allegations made against the Government of Sri Lanka (GOSL) by International Observers and UN Agencies. The Kautilyan ideological perspective is perhaps neatly illustrated by the Rajapaksa government’s emphatic rejection of the applicability of the moral and philosophical rationale underlying concepts of Human Rights entrenched in international agencies such as the United Nation’s Human Rights Council and Human Rights Watch in relation to the civil war and its aftermath. These violations and abuses of human rights have been documented by the UN in the Darusman Report on war crimes allegations (United Nations 2011); also by Weiss (2011) and more recently in the 2012 UN’s Human Rights Watch. These allegations have taken centre stage, overriding all other issues of public policy such as the growing public debt with a high component of foreign debt, and increasing inequalisation (Jayasuriya 2010;2013). In rejecting liberal political values, it was argued that these distinctly Western idea systems were totally alien to the local cultural ideology and were highly reminiscent of a discredited colonial era totally. and constituted a meddling in the internal affairs of a sovereign country. This rejection of liberal political values such as universal human rights is defended on the grounds of cultural relativism as a way of steering clear of the adoption of alien ideas reminiscent of colonialism. This standpoint, of course, can easily degenerate ‘into complicity in human rights violations’ (Scheffer 2011) and, is widely acknowledged as a ‘deep seated characteristic of authoritarian regimes all over the world’ (Scheffer 2011). The civil war may have formally ended, but the ‘fault lines’ of the war still remain (Jayatilleke 2011). In the end, lurking in the background of the prospect of restoring democratic institutions and processes, there remain some intriguing questions relating to the peace process and reconciliation following the end of hostilities which the two main national parties failed to confront in the 2010 national elections, both Presidential and Parliamentary. These issues hardly surfaced during the elections except for motherhood statements from both sides of politics on the need for restoring peace and harmony However the appointment of the LLRC (Lessons Learnt and Reconciliation Commission) remains to the credit of the Rajapaksa Government but its recommendations such as those bearing on land settlement policy in the war torn areas of the North and Easy remain archived and in the too hard basket (Perera 2013a). What Sri Lanka urgently needs is a Glasnost marking a new social and political ethos based on a policy of accountability, openness and transparency, freedom , and justice. Above all Sri Lanka needs something along the lines of a ‘Charter 88’ movement committed to the goal of ‘democratic constitutionalism’ and the restoration of a free and vibrant civil society. The Charter 88 in the UK was a reaction against ‘the belligerent and confrontational style of governance’ promoted by Thatcherism (Erdos 2009). But to be effective such a movement needs to have a broad base that confronts both political and social challenges for contemporary Sri Lankan society, and a Fourth Estate capable of deconstructing and countering the official media. Future developments will indicate how a militarised political economy critically located in the interface of Asia-Pacific geopolitics will respond internationally and domestically to the challenges it confronts in the foreseeable future. Burke, J. (2011) ‘Former Sri Lankan Army Chief Convicted for War Crimes’. The Guardian, 18th November. Coomaraswamy, R. (1984) Sri Lanka. The Crisis of Anglo American Constitutional Traditions in Developing Society. New Delhi: Vikas. Cooray, M.J.A. (1982) Judicial Role under the Constitution of Ceylon/Sri Lanka: A Historical and Comparative Study. Colombo: Lake House Investments. de Silva, K.M. (1979) ‘The Constitution and Constitutional Reform since 1942’. In K.M. De Silva (ed. ), Sri Lanka: A Survey. London: Hirst. de Votta, N. (2002) ‘Illiberalism and Ethnic Conflict in Sri Lanka’. Journal of Democracy 13 (1): 84-98. Erdos, D. (2009) ‘Charter 88 and the Constitutional Reform Movement: A Retrospective’. Parliamentary Affairs, Vol 62 (4). Fernando, K. (2012) ‘What’s Wrong with the Divineguma Bill?’ Asian Tribune, Vol 12(309). Gordan, S. (2013) ‘Sri Lanka: Still difficult to “Bell the Cat”’. Future Directions. 2oth February. Guan, L.H. and H.E.S. Nesadurai (2009) ‘Political Transition in Malaysia: The Future of Malaysia’s Hybrid Political Regime’. In Caballero Anthony, Mely (ed. ), Political Change, Democratic Transition and Security in Society in South East Asia. London: Routledge. Huntington, S. (1996) The Clash of Civilizations and the Remaking of the World Order. New York: Touchstone. Jayasuriya, L. (2010) Taking Social Development Seriously: the Experience of Sri Lanka New Delhi: Sage. Jayatilleke, D. (2013) ‘Impeachment a Perfect Blunder – 2’. Daily, January 8. KhooBooTeik (2003) Beyond Mahathir: Malaysian Politics and its Discontents. London and New York: Zed Books. Levitsky, S. and L.A. Way (2002) ‘The Rise of Competitive Authoritarianism’. Journal of Democracy (92): 51-65. Loveman, B. (1993) Constitutional Governments and Regimes of Exception. Pittsburg: Pittsburg University Press. Pinto-Jayawardena, K. (2009) The Rule of Law in Decline Copenhagen. Research Centre for Torture Victims. Pinto-Jayawardena, K. (2010) Still Seeking Justice in Sri Lanka: Rule of Law, the Criminal Justice System, and Commissions of Inquiry. Geneva: International Commission of Jurists. Pinto-Jayawardena, K. (2011) ‘On Being Prosecuted in a Foreign Country’. Sri Lanka Guardian, 23rd October. Robertson, G. (2013) Report on the Impeachment of Sri Lanka’s Chief Justice. London: Bar Human Rights Committee of England and Wales. Sanderatne, N. (2011a) ‘Will Budget 2012 Achieve Economic Growth and Equity?’. Sunday Times. November 20. Sanderatne, N. (2011b) ‘Economic Growth and Social Development’. Sunday Times July 17. Scheurmann, W.E. ( 2011) ‘Presidentialism and Emergency Gob\vernment’, In V. Ramraj (ed.,) Emergencies and Limits of Legality. Cambridge: Cambridge University Press. United Nations (2012) World Report on Human Rights Watch. Usvatte-Aratchi, G. (2010) ‘Eighteenth Amendment: A Rush to Elected Tyranny’. The Island, September 6. Venugopal R (2011) ‘The Politics of Market Reform at a Time of Civil War::Military Fiscalism in Sri Lanka’. Economic and Political Weekly. Vol XLVI (49). Weiss, G. (2011) The Cage: The Fight for Sri Lanka & the Last Days of the Tamil Tigers. London: Random House. Wickramesinghe, S. (2010) ‘Civil Rights Movement Statement on the 18th Amendment to the Constitution’. Available at: http://transcurrents.com/tc September 5th 2010. Wigell, M. (2008) ‘Mappping “Hyprid Regimes”. Regime Types and Concepts in Comparative Politics’. Democratization 15 (2): 230-250.
. See Jayasuriya (2012 ) for a detailed analysis of the 2010 national elections.
. See The World Report of Human Rights Watch (2012) for s a detailed account of human rights violations during and after the civil war; also Pinto Jayawardena (2011) on the question of the justiciability of war crime allegations..
Only if we had a Statesman as our Leader when war on terror ended, we would be in a entirely different situation today. Instead of restoring democracy and providing relief to the masses, the democratic Sri Lanka was turned into a corrupt, lawless Banana Republic under family rule. Today the Country is ruled by intimidation, threat, disappearances and murder. The citizens have lost all their rites. They do not even have the freedom to a funeral procession or to have a funeral where they want or how they want. This too is decided by the corrupt family of dictators. The Jungle law only protect the criminals, murderers, rapists, drug dealers and terrorists. None of the Elections held so far are free and fare. In the last Presidential Election we saw how the LOOSER was declared winner and the WINNER ending up in jail on false charges using Kangaroo Courts. God save former democratic Sri Lanka. A comprehensive analysis for historical record. Development on the lines of Singapore and Malaysia is acceptable. Priority to development of infra-structure is acceptable too since this is an imperative to launch tourism and industrial development, multi hubs, etc. But what is the purpose of all these roads, airports, ports, and highrises without democratic freedoms? Without the rule of law? without law and order? Without justice? Without moral values? If the individual has no liberty to speak and criticise, nor protest injustice, what is the worth of living? Some authoritarianism from the executive is also acceptable but how can the people accept a servile legislature and a compromised judiciary. What are the checks and balances present to safeguard the people from the excesses, misdemeanours, and downright corruption of the executive, or the legislature, or the judiciary? The Executive must not be deluded by power to think that it is infallible. It does not rule by divine right. Does this government aim to construct monumental piles of concrete and asphalt for a servile servant population like ants in a colony? The human being is unique and requires freedom of spirit to be inspired, to be creative, to be happy. I cannot foresee that light at the end of the tunnel this government is herding us through.